Nearly half of the world’s groundwater reserves could no longer be at our disposal in the next 100 years due to climate change. Nearly half of the Americans and over a third of humanity worldwide rely on groundwater as their main source of potable water. Tapped for crop irrigation, groundwater also helps combat growing food insecurity in several regions in the world. While we usually don’t give it much thought, groundwater is the largest freshwater resource on Earth. According to the most recent estimations of global groundwater reserves, the upper 2 km of Earth’s crust holds about 22.6 million km3 of water. For a mental picture to help you with this volume figure, imagine a 180-m-deep freshwater ocean that covers the entire planet. Surface water that seeps through a region’s geological top layer gets stored in the pores, fissures, or aquifers that become groundwater reserves. With climate change, rising temperatures and changing precipitation are causing disturbances in both the quantity and quality of groundwater. On human timescales, it’s taking longer for aquifers to replenish their groundwater reserves. We expect climatic factors, along with overpopulation and mismanagement, to have an impact on the availability of groundwater, but to what extent? In 2015, researchers used data from NASA’s Gravity Recovery and Climate Experiment (GRACE) to show that 13 of the world’s largest 37 aquifer systems in the globe are already under significant stress. Now, a new study, published in Nature Climate Change, reveals that nearly half of the world’s groundwater reserves are endangered by climate change vagaries. Using hydrological data and modeling, the international research team found that over 44 percent of aquifers on Earth will not replenish over the next 100 years. Over the next century, it will be hard for aquifers to recharge because of climate-related rainfall disturbances. 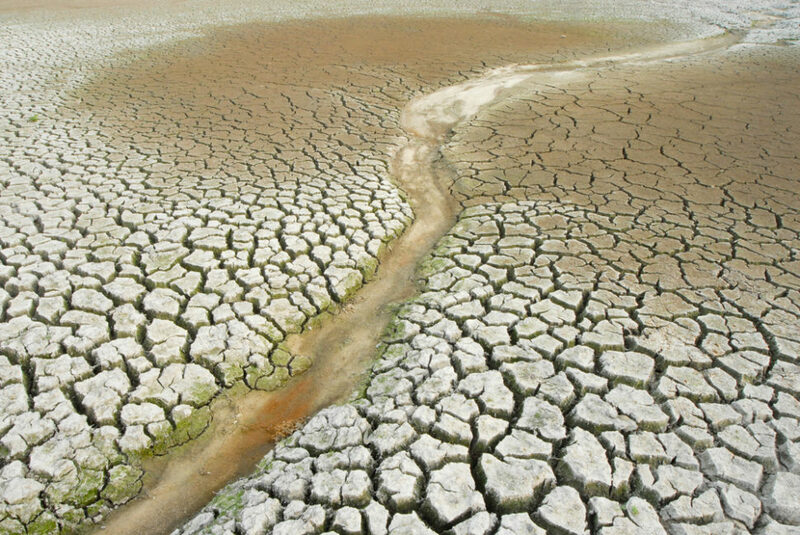 In other words, half of the planet’s groundwater reserves will be depleted within decades, which would intensify the world’s water crisis.